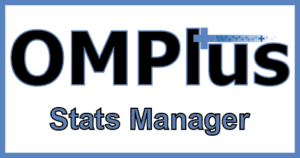 Plus Technologies has upgraded its OM Plus Statistics solution to include Off-the-Glass (OTG) statistics such as device provided copy, scan, print, fax counts by user. When combined with user based print statistics available from OM Plus Delivery Manager (DM) print spooling software our customers will be able to obtain a full picture of device usage by user. OM Plus Stats will include a default set of reports showing this data. This data could also be easily exported to external databases should our customers desire. The first release will include these stats for Lexmark product line and will be followed by HP, Xerox, Ricoh and Konica Minolta. In addition, to providing device based stats on user activity this new version is able to ‘lock down’ the devices so that users have to sign in and be authenticated before using. Plus Technologies located in Ohio has been developing enterprise level document and output management software since 1994. 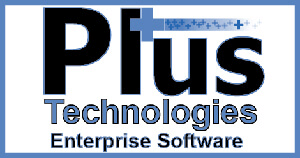 Plus Technologies’ focus is on improving business processes affected by documents. We have thousands of customers, tens of thousands of server software installations, and millions of printers under management in 30 countries. One reason for our success is our willingness to respond quickly to our customer’s unique requirements. First, we listen to the customer to understand their environment and their needs. Second, we work the customer to determine the optimal solution. In addition, we are able to quickly make enhancements to our products to meet specific needs. Third, we offer pricing and licensing flexibility to suit our customer’s budget. Lastly, we provide world class support. This recipe has served us well over the years and as a result, we have an extremely loyal customer base.